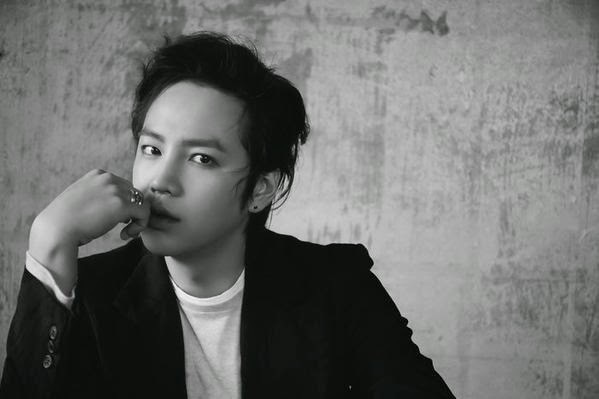 The Eels Family: [News] “Jang Keun Suk, 3rd Album Title has been decided & latest visual also published”. [News] “Jang Keun Suk, 3rd Album Title has been decided & latest visual also published”. Jang Keun Suk who debuted in Japan 5 years ago, will released his 3rd album on February 25th and which title will be "Monochrome". This album shows a Jang Keun Suk that shines on stage and at the same time shows one Jang Keun Suk who is having anxiety and worries, this work reveals those bilateral character. Along with the Title, were released the lates visual a monochrome photo which represent that view of the world. One year and nine months ago, in May 2013 his 2nd album "Nature Boy" won 2nd place in Oricon, to celebrate the 5 years of his Japan debut the original album is compressed with today's Jang Keun suk. From March 14th will start the nationwide tour "2015 JANG KEUN SUK THE CRI SHOW III" with the starting performances in Osaka Oryx Theater. There will be 6 Hall locations with 12 performances nationwide, and 2 Arena places with 4 performances, there are some fun places. From now on the album and presentations details will be announced in near future, so from now on please pay attention to Jang Keun Suk movements.